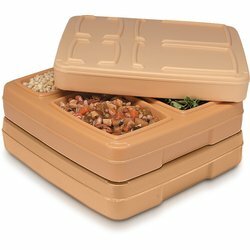 The insulated tray systems offered by Dinex have many functions and can be effectively used in many unique situations. Varying in size and design these tray systems will work well for both in-house and satellite facilities. All are constructed to provide excellent thermal retention while providing a wide range of food preparation options.